Normandy Life: Meeting Martha from Lines From Linderhof. Meeting Martha from Lines From Linderhof. 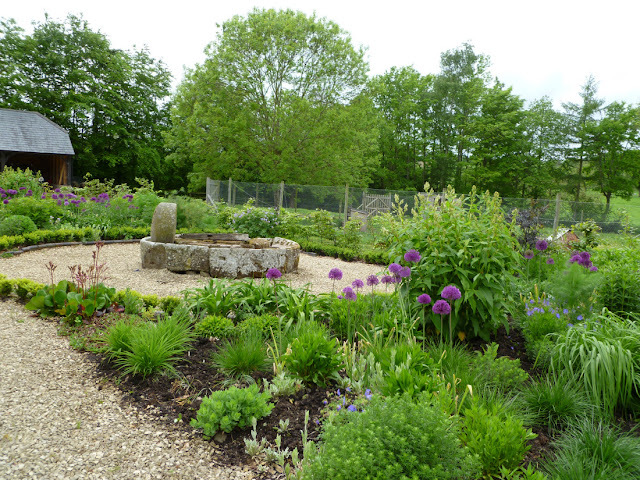 The ornamental gardens at Little Quebb Farm. Shortly before we left for our two week visit to the UK I received an email from Martha, you may know her blog - Lines From Linderhof. Martha mentioned that she and her husband Jim had been visiting Normandy earlier that week, I thought "now she tells me"! If I had known I could have easily driven to the coast to meet up with them. 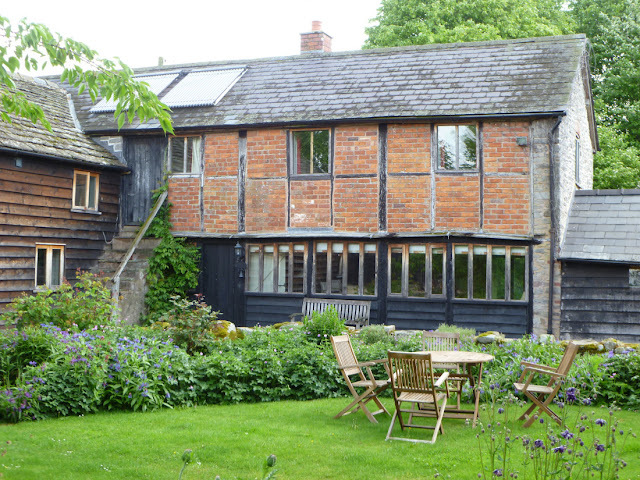 All was not lost however as Martha went on to to tell me that they were spending a few weeks in the Cotswolds, not very far away from where the Senior Partner and I had rented a holiday cottage. 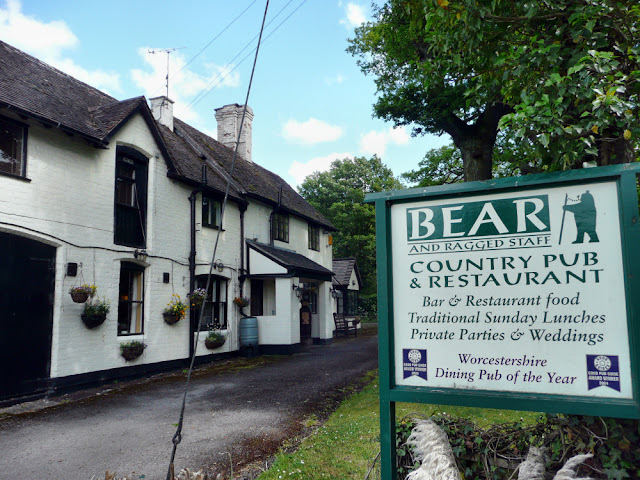 Emails flew back and forth and finally we had a plan to meet at the Bear & Ragged Staff Country Pub in Bransford, Warwickshire for a traditional Sunday Lunch. 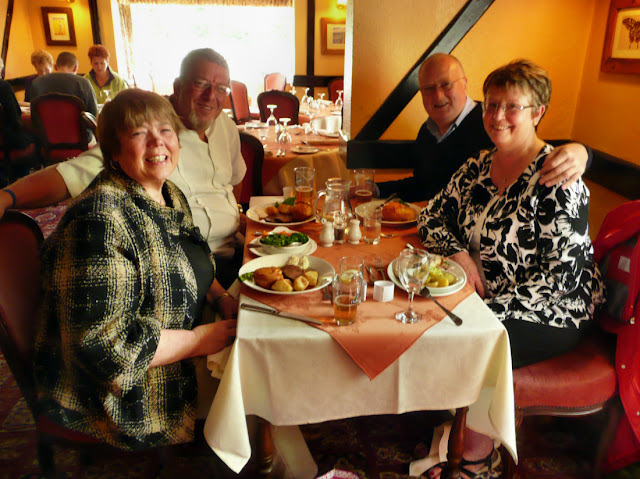 Almost equidistant from both of our places, it proved to be an excellent choice and I highly recommend the puddings. Kansas meets Normandy at last! Needless to say Martha and her husband Jim are delightful and the time just flew by as we got to know each other better. Check out Marthas blog Lines From Linderhof to read how much these two Anglophiles are enjoying "living" in the UK. All too soon it was time to say farewell and make our way back to our cottages. 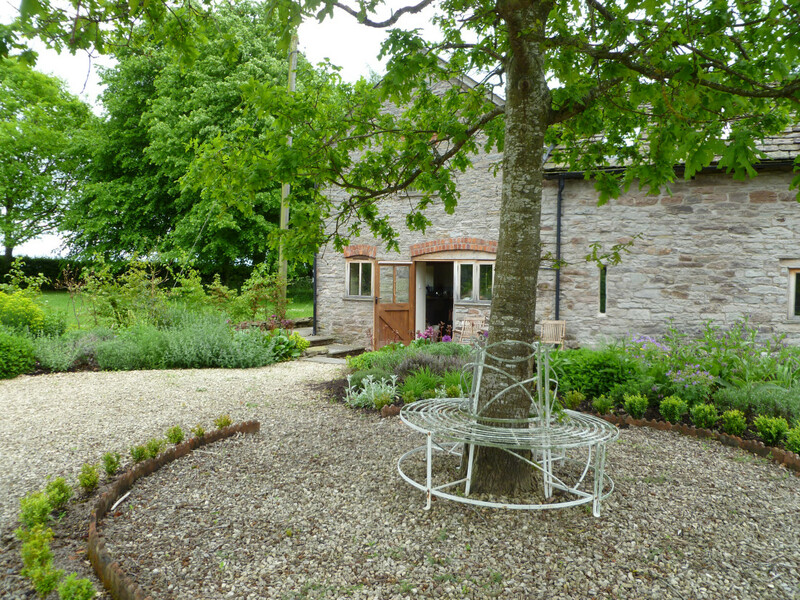 Us to The Granary at Little Quebb Farm, Eardisley Herefordshire and M&J to Blue Row Cottage in Swerford, Oxfordshire. 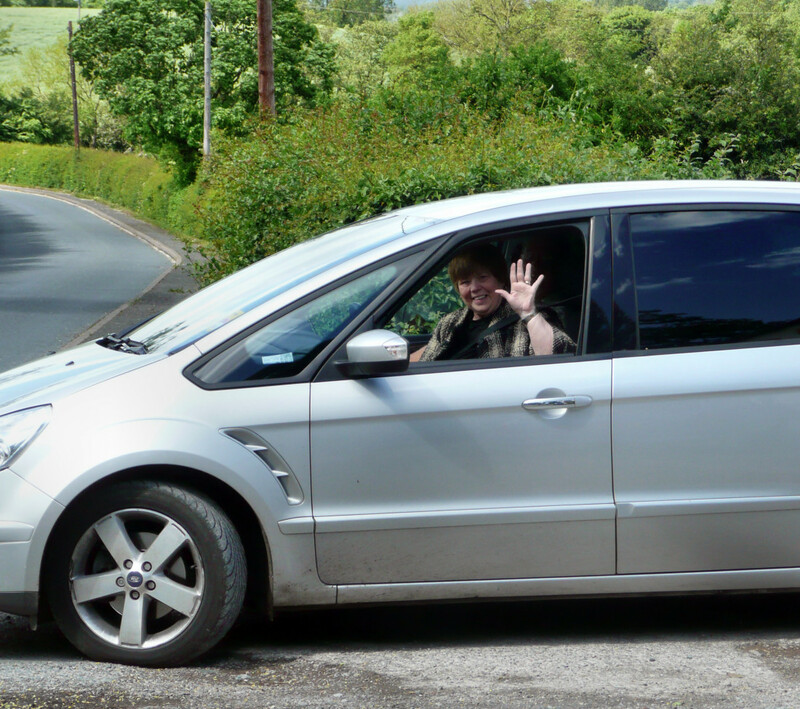 Bye Martha, hope to see you again one day! with this very Traditional English Sunday Experience! What fun that meeting must have been. I have to admit to enlarging the photo of the lunch in order to see what everyone was eating - it looked good! So happy it worked out for you all to meet for lunch. 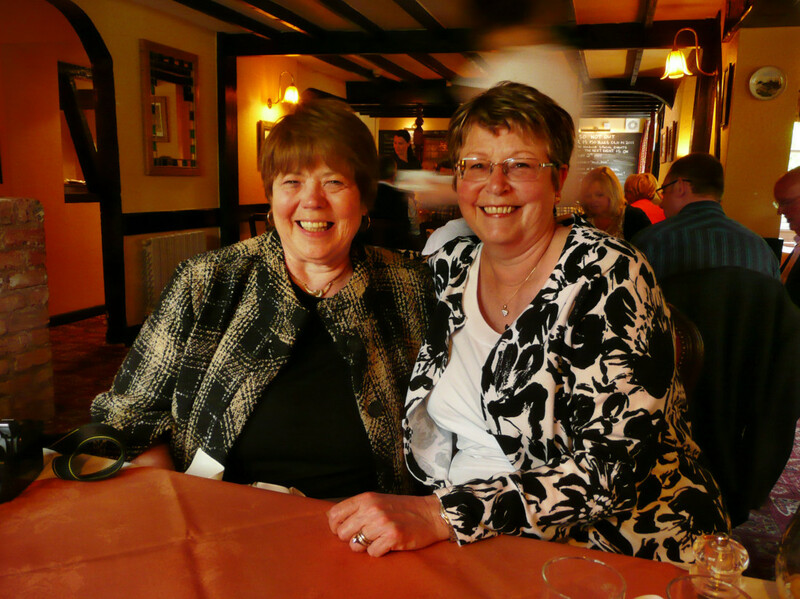 Meeting up with blogging friends is truly a treat! Maggie -- a great post!!! And it was so good to meet you and your husband. 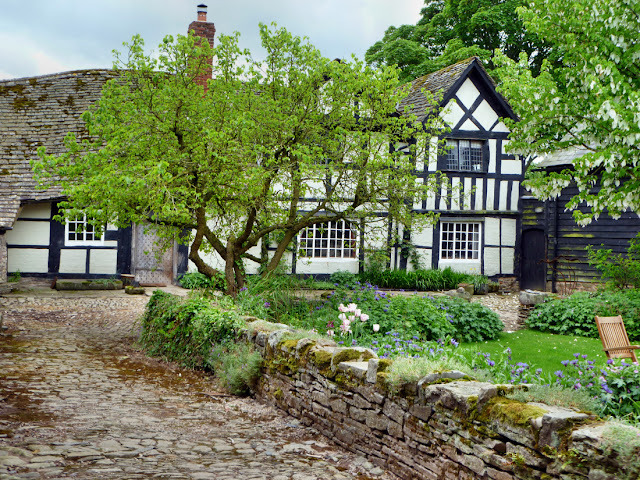 Your cottages look amazing! Perhaps we'll meet again someday! How lucky for you two to meet. There are so many interesting people in blogland that we feel we get to be friends with, so it's nice to know someone actually got together. How fun! And what a great place to meet. So happy to have you with us for Seasonal Sundays. This is wonderful, wow, to meet a blogger friend face to face?! what a gift! This must've been so much fun for you girls, you both look so happy! God bless and hi Martha, at Linderhof! Thanks for the pictures! It's wonderful that you were able to connect with Martha. I've only met one blogging friend but look forward to meeting some others- sometime... I find it amazing how connected I feel to so many bloggers...birds of a feather flock together as the old saying goes. How nice that you & Martha were able to connect! I've met a few bloggers & its always such a treat...like old friends, only better because its still new & fresh. LOVE all your photos...what a wonderful trip! How fun to connect with a fellow blogger. I've met just a few and have enjoyed it very much. How fun!! And what a cozy little pub to have dinner! How nice! It's always wonderful to meet fellow bloggers. I had the opportunity this past December and had a ball! Thanks for sharing, enjoyed looking at your lovely photos!! Thanks for stopping by, your visit just made my day! 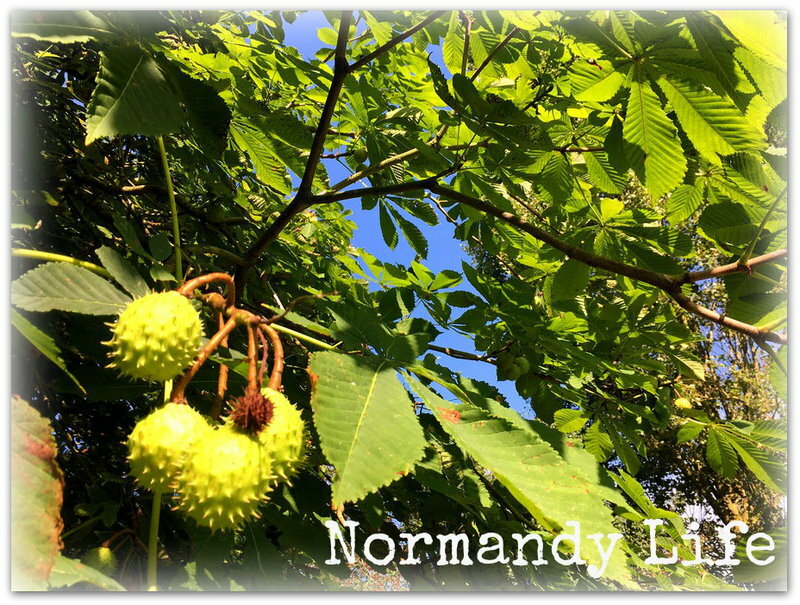 Thanks for visiting Normandy today, a bientot.